Welcome to another TINSTAAFL Tuesday. 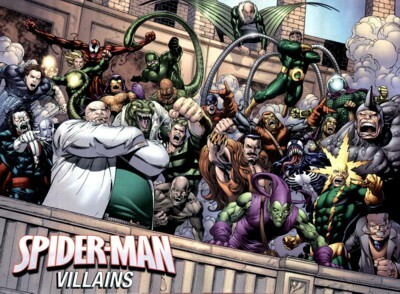 Today it’s all about Spider-Man villains and how they got that way. In case you don’t already know, Spider-Man is my all-time favorite comic book hero. I even subscribed to all four Spider-Man comic book titles in the late 1980s until the late 1990s. I still have them all in boxes in my closet. I don’t have much room for clothes. In celebration of Spider-Man’s birthday on October 14, he gets two posts. Spider-Man has lots of enemies. So many, in fact, that this will be a two-part series to talk about the ones whose origins can be traced to the use of an experimental drug, substance, or technology. In all cases, these men were already, um, ethically challenged due to the incredibly terrible or lack of parenting they received as children. I really want to tell these guys to grow up and look at themselves as the source of their problems, but they are the antagonists who must exist for Peter Parker to exist. I love what Kristen Lamb says about conflict–no conflict, no story. 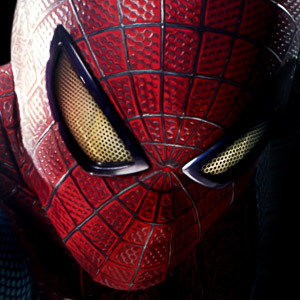 Promotional poster of Sensational Spider-Man #34. Art by Sean Chen. Instead, I’ll just yell, “TINSTAAFL!” at them for being stupid enough to be human experiments in the first place. There are many, many more villains, but the rest didn’t have superpowers or were minor evil-doers or weren’t created by an experiment gone wrong. They may have been badly parented though. That seems to be a big theme in comic books in the 1960s. When the Chameleon was first created, he was master of disguise with no special powers. Due to a terrible childhood, he felt unloved and ignored. *cue sad music* That’s really not a good excuse to join a life of crime. Using a serum so you could make your skin change anyway you want it to? Gross. Also, Spider-Man keeps stopping you because you’re not very bright. Here’s a hint. When you are impersonating someone and that person’s loved ones talk to you, then you should at least pretend to recognize them. Duh. Go, Mary Jane, with the baseball bat to your sad-looking skull! Another sad little boy with a terrible upbringing, Otto Octavius went from a brilliant scientist to megalomaniac. A freak accident in his lab fused his four-armed apparatus to his spine. Doc Ock, you have some Mommy issues that therapy couldn’t help. I’m not sure what to make of it when Spider-Man clobbered you into a fear of spiders and then let you clobber him later to get over it. I think I preferred your spider-fearing, gibbering self and Spidey is too good to you. And still you try to kill him. *tsk tsk* I’m still not sure how you get your lab coat to stay on. When life-time criminal, William Baker, ran into an atomic testing site during a test, he got blasted into smithereens on the beach. I guess the experiment reactor was powerful because all his molecules fused with the sand. Great, now a criminal is a super criminal and can make his body into any shape. Sandman, there were “Do not enter” signs on that beach for a reason. *shakes head* You do have some redeeming qualities (you loved your mother), but I still think you’re a little shifty. When is injecting yourself with experimental reptilian serum ever a good idea? Never. Just ask Doctor Curt Connors. While serving as a military doctor, he lost an arm. He spent years trying to find a way to grow his arm back. Curt, your first mistake was ignoring your wife’s warning not to do it. She loved you and accepted you the way you were. Your next mistakes were the additional experiments that failed to cure you and spawned other creatures. The first failed experiment that turned you into a psychotic lizard wasn’t enough proof for you? Sadly, you let Lizard destroy your humanity and turn your son into a little lizard boy so he could live with you in the sewers. So. Not. Cool. Another sad, sad childhood–I sense a theme here, Marvel–for Norman Osborn. As an adult, Norman owned a chemical company. After a failed experiment on an employee, Norman found his business partner’s notes about the experimental serum that should increase a person’s strength. He tested the unstable chemical on himself. Hmmmm….that’s not going to end well–an already unbalanced man using an unstable chemical. Norman, quit picking on your son Harry. He’s a good kid and wants to make you proud, which got him nothing but crazy later because you couldn’t love him for who he was. Mean, mean, meanie pants. Mac Gargan was a private investigator who J. Jonah Jameson hired to catch Peter Parker getting the great pictures of Spider-Man. When he couldn’t do the job, Jameson paid him to take an experimental drug (Don’t do it!) that would give him characteristics of a scorpion. Goodbye humanity, goodbye sanity. I suppose in 1964, $10,000 was enough money to turn yourself into a psychotic humanoid-scorpion, Mac. Then, later, you take on the alien symbiote, Venom? Mac, you should’ve run at “experimental” (and later at “alien”). I’m not sure Mark Raxton had anyone in his life to tell him that a life of crime doesn’t pay. Guess what? Raxton had family abandonment issues, too. Yawn. When he tried to steal the experimental metallic alloy that he helped create (as part of a weapon to be used against Spidey, no less), the stuff spilled all over him. Ooops. I have no words for that kind of stupid. A Russian thug, Aleksei Sytsevich, subjected himself to chemical and radiation treatments conducted by more Russian thugs. I wonder if he knew their plan to give him rhinocerous-like armor that he could never take off. Considering that he was chosen because of his lack of intelligence, I’m sure that never crossed his mind. I hate to think of the chafing under that armor. Deep down, you really are a softie at heart, so I feel a little sorry for you. Aleksei, quit trying to change yourself. Experimental treatments that transform your body are not the fast or smart way to strength, power, or money. You did right when you turned yourself stupid again after your high IQ experiment made you realize that being smarter than your girlfriend was not a good idea. Stupid wins this time. Next week, I’ll tell you about the TINSTAAFL Tuesday-worthy supervillains who began to torment my favorite neighborhood Spider-Man in the 1970s onward. Things start changing when the comic book codes allow certain types of creatures onto the pages. Stay tuned! Do you have a favorite supervillain that you love or love to hate? Would you sacrifice your humanity to have superpowers for any nefarious reasons?